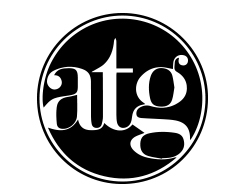 MR Direct is proud to announce that it has formed a new and growing relationship with ATGStores.com. As a subsidiary of Lowes, ATGStores.com is a fast-growing, online, home improvement retailer; but that is just the beginning of their story. A visit to their site not only provides the opportunity to purchase merchandise for every facet of every room in the house; but it is also a learning experience. A perfect blend of products, comparisons, recommendations, lifestyles, trends, and opinions are presented through professional articles and blogs. You’ll find products and stories about lighting, plumbing, furniture, outdoor decor, commercial goods and more. And now, MR Direct is a part of this dynamic venture with products, and ensembles of its products, available on the ATGStores.com website. We highly recommend you pay them a visit soon. Check us out on the ATG site here!